Nothing widens your perspective and changes your life in quite the same way as travel. It’s also an amazing way to connect with people through shared experiences, as well as to learn new things about yourself while solo traveling. Since women make 70% of all solo travelers, let’s look at the safest places for women to travel alone. Traveling alone frees you up to absorb these experiences more fully, to make new friends, and to connect more deeply with your favorite person – yourself. But whenever I tell people that I’m about to go on an expedition alone, their responses range from concern to outright shock. Don’t you have anyone to go with you? I would be afraid that something would happen. I have never been one to let fear get in the way of adventures, but travel can be dangerous, especially if you’re a solo traveling woman. Political unrest and crime are things to be aware of. But I have discovered some destinations that hold adventure and allure as well as friendly locals and low crime rates. No matter where you go, it makes sense to be aware of your surroundings and avoid situations or people that seem suspicious. But you can still take in all that solo travel has to offer. Here are my top picks for best places to travel alone in 2019 as a woman. As a solo female traveler, you will find lots of fun things to do in this city full of natural wonders. Enjoy a drive on the beautiful and famous Golden Circle and check out the waterfalls and other landmarks. Then take in Reykjavik’s buzzing music scene and nightlife. Rest assured that you can do these things safely; in 2015, Iceland was ranked #1 on the Global Peace Index. If that doesn’t scream “best places to travel alone as a woman” – then I don’t know what does. Canadians are known for their warmth and friendliness, making this a top destination as a safe place for women to travel alone. You can find ample culture and history here without spending a fortune. The cobblestone streets and the old French restaurants will make you feel like you’re in a historic French town. In addition to absorbing the culture and scenery, you can also visit the Montreal Botanical Gardens or take a day trip to Niagara Falls. The fact that Denmark has been rated one of the top two happiest countries in the world hints at its friendliness to solo travelers. It is so easy to get around here that you can take in most of its sights just traveling by bicycle. It offers incredible architecture, as well as shopping and nightlife. Don’t be intimidated by any culture shock you might experience while visiting this unique city. China’s ancient traditions and relaxing customs make it an amazing spot to visit again and again. Known as the World’s Food Fair, Hong Kong’s restaurants offer authentic cuisine from diverse parts of the world. Generally considered one of the safest cities in the world. Hong Kong is even a popular spot for expats, who find it intriguing enough to never want to leave, so surely it’s one of the best places to travel alone as a woman. There is a lot to do, including taking in a Tai Chi class or a theater performance. Besides its historic and carefully preserved culture, it also offers amazingly varied scenery: deserts, grasslands, lakes, rivers, and mountains. This city caters to young backpackers, so you will have no trouble finding fellow travelers to befriend on your journey. Lodging and food are inexpensive here, making it the ideal destination for travelers on a budget. You can also choose to stay in a resort near one of its many stunning beaches. There is peace and relaxation to be found no matter where you go or what you do in this scenic and tranquil destination. Definitely, one of the best places to travel for single women. This island is one of the safest places for a woman to travel alone and seek adventure. The stunning natural scenery can form the backdrop for a variety of activities: jet boating, bungee jumping, hiking, as well as many others. If you just prefer a quiet place to visit and reflect, New Zealand fits the bill for that too. The next safe trip for a single woman is in the beautiful Melbourne. After all, who hasn’t always wanted to go to Australia? And Melbourne, the country’s culture capital, is the perfect place for solo female travelers. You will love the Victorian architecture, the shopping, the gardens, parks, and galleries. Be sure to take a walk down Brunswick Street and also to enjoy some of Melbourne’s famous coffee roasts or espresso martinis. As an English-speaking country with many helpful and friendly people, it’s an easy city to navigate, and so safe that you can walk around at night without worry. The people of these gorgeous islands are famous for their friendliness. The clear, blue water is ideal for swimming, offering a view right to the bottom. You’ll be stunned by the limestone cliffs, as well as the Puerto Princesa and the Coron Islands. This city is known for its cleanliness, as they strictly enforce laws about littering. In addition to the comfort of clean surroundings, Singapore also speaks English, making it easy for you to communicate or get around. Be sure to check out the trees at Supertree Grove, which light up in sync to music. These can be visited any time, even at 4 AM. No need to worry about walking around the city at night…this city is supremely safe. Due to its digital nomad abundance, Chiang Mai is one of the safest places for a woman to travel alone and work remotely from there. Far quieter and safer than Bangkok (the country’s capital), Chiang Mai has a lot to offer female solo travelers. The city’s popularity among expatriates means that you will have no trouble making acquaintances from all over the world. There’s no shortage of culture, with an array of yoga classes, vegetarian foods, and Buddhist temples. Although historically Northern Ireland has been known for violence, things are very different now. Irish people are warm, welcoming, and hospitable and their political strife now exists only in the history books. While the weather does not encourage outdoor sightseeing, you can have a great time just hanging out in a pub with some newfound friends. You will also find Belfast much easier to navigate than Dublin, which is busier and more stimulating. Without a doubt one of the best travel destinations for single women is Rome. This is a city that truly appeals to the five senses! You will be inspired by the delicious food and romantic atmosphere. There is nothing quite like a visit to the Pantheon or the Coliseum to bring the grandeur of the Roman Empire to life for you. The Vatican City and Saint Peter’s Basilica are also sites of unmatched awe. Even just the romantic piazzas and cobblestoned streets will offer plenty of scope for a female traveler alone. New York City usually is considered as the best trips for single women due to the fact that The City never sleeps, there are tons to do. Indulge in scoping out the streets of Manhattan at your leisure and without the pressure of anyone else telling you which famous sights to visit! You can browse the gourmet food markets, take a cruise on the Hudson River, or explore the flea markets in Brooklyn. Mayan ruins, active volcanoes, kayaking and rafting on beautiful lakes…these are some of the many things that this Central American country has to offer. With very affordable food and lodging, you can linger for awhile and get to know the people and the language, maybe by volunteering. If you fancy a Caribbean island getaway, the British Virgin Islands is ideal. Some of the most renowned beaches can be found here, as well as a scintillating nightclub scene. The friendly people make this paradise even more enjoyable for the solo traveler. Old-time Cuba lives in our memory as if stuck in the 1950s. But the current political atmosphere encourages the growth of small businesses, such as artistic little shops and unique restaurants. A homestay is an excellent option for a solo traveler here, and low crime rates make it a great choice for a woman traveling alone. There’s nothing quite like a beach vacation in Mexico, and Tulum is quieter than nearby destinations. Besides enjoying the clear blue water and soft white sand, you can also strike up new friendships with other travelers in between yoga and time at the beach. Inexpensive and high quality lodging makes this an excellent choice for ladies traveling alone. This stunning destination is full of historic forts and palaces. It’s also a great home base for travel to other cities in India. Enjoy a ride on a camel and visit Pushkar Camel Fair in the fall. If you’re an adventure seeker, Costa Rica is the ideal spot for your solo trip. The kind local people are very willing to help as you enjoy surfing, zip-lining, and visiting volcanoes. With a very low crime rate, Japan ranks high in safety for female travelers, so obviously one of the best places for women to travel alone. Take in the imperial palaces and the UNESCO World Heritage sites that make Kyoto famous. A little respect for a different culture will get you a long way in Dubai; remember to cover up unless you’re on the beach. But this city is very safe for female travelers on their own. Despite its diversity of religions and nationalities, the people are tolerant of each other. The friendliness of the locals is a reason you may want to keep returning and lingering longer in Taipei. The people are warm, helpful, and welcoming to visitors of all nationalities. And don’t forget to check out the famous night markets. This can be one of the best solo trips for women if you’re into hiking a lot! No need to be worried about hiking alone; family-owned huts along the mountain trails will provide you companionable and cozy lodging. You can easily find a travel group in a hostel for companionship on the trip too. 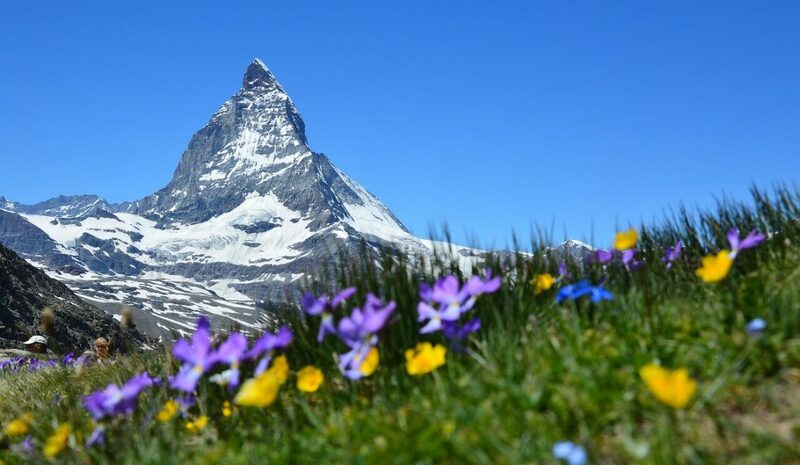 The Edelweiss Trail is a terrific option and will give you views of the Matterhorn. This is a budget-friendly adventure in a country known for being expensive. Switzerland is very safe, too. The ideal destination for backpacking. Ella is the best solo trips for women who want to surround themselves with lush greenery and peaceful, intimate scenery that Sri Lanka offers. Take the train from Colombo as an inexpensive way to enjoy the all of it. This is a warm and friendly destination that offers all kinds of adventures. Remember to try sandboarding in the dunes! Don’t worry if you’ve never snowboarded before; it doesn’t hurt to fall in the sand. Do you love the beach, but sometimes feel that it’s a couples-only vacation? Otres Beach is known for appealing to solo travelers who seek something off the beaten path, unlike better-known beaches that are sought by honeymooners. So, perhaps this can be considered as the best trips for single women? And this vacation will also be very budget-friendly; you can easily get by on just $10 a day. Although Germans may seem standoffish in comparison to Americans, they are really very helpful and kind when you get to know them. They speak English, too. A major attraction in Berlin is the artistic and historic street art. Spain, in general, is one of the best places to travel alone as a woman. The awe-inspiring architecture of Spain is definitely worth a visit! You will be incredibly moved by the ancient stories of Eastern and Christian cultures that are revealed by buildings such as the Alhambra, constructed in 889. While other cities in Spain are rife with pickpockets, Granada is much safer. Although it’s not exactly a destination, the convenience and ease of a cruise makes it an ideal travel experience for solitary females. Without the stress of planning an itinerary and unpacking multiples times, you can enjoy many different destinations easily. I hope you now have at least a small To-See list of your own and that you found a few potential destinations as the truly best places for women to travel alone. Also, I hope this list piques your interest and inspires you to actually head out on your solo adventure. She is a frequent contributor to Independent Wolf, especially when talking about women’s point of view. She thinks she’s somewhat funny (she usually cracks up at her own jokes) and she also loves traveling.